The Rs 349 recharge pack of Jio offers 20 GB of 4G data with a validity of 56 days without any daily limit. Jio last month also announced two sachets priced at Rs. 24 and Rs. 54. With the launch of a revised "Dhan Dhana Dhan" offer last month, Reliance Jio customers now have more options to recharge their Jio numbers. In good news for Jio customers, the telecom operator has extended the benefits of its Dhan Dhana Dhan offer with new plans as the benefits under its Summer Surprise scheme has come to an end. With a new recharge pack priced at Rs. 399, Jio's existing and new Prime members will get 1 GB of data per day at 4G speed for 84 days along with free voice calls, SMS (short message service) and access to MyJio app services. Under the revised Dhan Dhana Dhan offer, Jio Prime members who had availed the Summer Surprise offer can now recharge their numbers for Rs. 309 to get 1 GB of 4G data daily for 56 days, as against 28 days earlier. The Rs. 309 recharge pack was one of the most popular recharge plans offered by Jio. With the revised Rs. 309 offer, now the per day cost of availing Jio services comes to Rs. 5.52 compared to Rs. 4.75 in case of the Rs. 399 pack. Similarly, if they recharge with the Rs. 509 pack, they will get 2 GB of 4G data for 56 days, instead of 28 days earlier. Last month, Reliance Jio launched a single SIM, 4G-enabled feature phone - called JioPhone, targeting to capture a bigger pie of the 50-crore strong market of feature phone users. 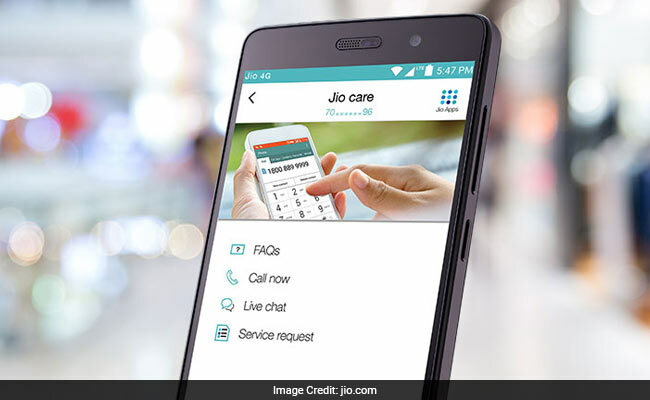 Reliance Jio has launched the phone with an "effectively free" price tag. The JioPhone can be bought at a refundable deposit of Rs. 1,500. The company has also launched attractive tariff plans exclusively for the JioPhone. The entry-level phone will allow its users to do unlimited voice calls, enjoy free data and SMS at a monthly recharge of Rs. 153. The phone will also give free access to Jio apps for 28 days. Jio last month also announced two sachets priced at Rs. 24 and Rs. 54, which will allow JioPhone users to use data and call benefits for two days and seven days respectively.